In the Swiss e-voting system, a second critical crypto vulnerability was found to be exploitable to hide voting manipulation, researchers revealed on Sunday. In February, the Swiss government, specifically Swiss Post, announced the launch in its electronic voting systems of a public bug bounty program. There have been awards of up to $50,000 and over 3,000 hackers from all over the world signed up for the program which ended on 24 March. Since 2004, Switzerland has conducted e-voting trials, and Swiss Post believes it now has a fully verifiable system that can make electronic voting widely available in Switzerland. However, it is found that the system components designed to ensure that votes that had already been thoroughly tested have not been manipulated have certain potentially serious vulnerabilities. Two teams of researchers reported earlier this month that they discovered independently a crypto-related vulnerability which might have been used for undetectable voting handling. Scytl, a Spain-based provider of electronic voting solutions that develops the Swiss government system, claims to have addressed this problem. The researchers have however said that they did not see the patched source code so that their claims could not be verified. The failure also affected the systems used by Scytl in New South Wales, Australia (NSW). All the parties involved downplayed the effect of the defect and argued that it was difficult to operate an external attacker, since deep access to the Swiss Post’s IT infrastructure and extensive system knowledge required. However, the researchers pointed out that the system of e-voting should also be resistant to inside manipulation and the vulnerability showed that it was not. The Swiss e-voting system is designed to mix votes to protect the privacy of individual votes. The servers responsible for this shuffling process should be able to demonstrate that the input voting corresponds exactly to the output votes in order to ensure that the number of votes is not altered. The first vulnerability of researchers was related to this process-votes could be added or deleted, but apparently no manipulation was demonstrated. The second weakness, which the scientists described as “critical,” has to do with the votes themselves. Every vote is encrypted and a zero-knowledge-proof encryption method is used to ensure that the electoral body does not declare an option other than what the voter has chosen. “Zero knowledge means that the decryption key does not reveal anything, so voting privacy is protected. And evidence means observers can perform the verification algorithm to ensure that the vote claimed is really what’s hidden inside the encryption, “Vanessa Teague, University of Melbourne associate professor and one of the experts involved in this research, said. Unlike the first problem, the exploitation, cryptography expert Sarah Jamie Lewis, the executive director of the privacy-focused non-profit Open Privacy organization and one of the research participants, explained that it is a trace. On Twitter, Lewis revealed that they also identified other “major problems.” The researchers disclosed their findings in technical detail and published proof-of-concept (PoC) code. She believes that these problems are not isolated and not easy to resolve. It was notified both to Swiss Post and to the NSW Electoral Commission. The Swiss Post has yet to comment on the results, but the NSW Electoral Commission is confident that it will not affect its own systems. It should be noted that these defects have not been reported to Swiss Post in the bug bounty program. The England and Wales Police Federation (PFEW) has suffered an apparent ransomware attack which has an impact on what is described as its databases and servers. The ransomware attack encrypted several databases and servers and prevented access to data and email services. The national PFEW member database, the case management system and the conference and hotel reservation system were affected. The attack also removed backup information. “Many of our systems have been affected and we are working closely with cyber experts to restore systems and to determine how much of the data has not been available,” the Federation of Police stated. The database in question contains information about the PFEW members, and although at present there is no evidence that the data have also been stolen during the attack, the federation says it “could not be discounted” and that people who could be affected will be contacted. “Our priority was to mitigate the damage from the attack and protect our members’ and others ‘ personal data whose information we hold,” he added. The PFEW brought forensic experts from BAE Systems to support the attack. The incident was reported to the National Cyber Security Centre, the Commissioner of Information and the National Crime Agency, and an investigation is under way. “The National Crime Agency conducts an investigation and a wider law enforcement action into the cyber incident affecting the English and Wales Police Federations,” said the NCA. “NCA National Cyber Crime Unit (NCCU) specialists manage on-going investigations. They are working with the PFEW and the National Cyber Security Center (NCSC) to better understand the incident. Those affected are recommended to be vigilant about suspicious e-mails, texts and telephone calls,” they said. The Police Federation has established a website and a helpline for all members concerned. City authorities have taken offline tornado sirens hacked in front of the major storm. Fortunately, they haven’t been needed. In the middle of the night of last week, a hacker set off the tornado emergency sirens across two towns in North Texas. Following the unauthorized intrusion, city authorities had to shut down their emergency warning system one day before the area was struck by major storms and potential tornados. The incident affected DeSoto and Lancaster, two cities in Dallas County, Texas, both south of the main metropolitan area of Dallas. On the night of 12 March from 02:30 to 04:00 am (local time), a hacker launched the tornado sirens of two cities waking locals in the middle of the night. More than 30 sirens went on and off, 10 from DeSoto and 20 from Lancaster. Some residents also reported alarms in the vicinity of Red Oak, Cedar Hill and Glenn Heights, but the incidents did not affect cities as a whole and the sirens did not shine for hours. The false alarm caused panic in both cities because local residents were already at their seats on incoming storms. The city had tornado alarm sirens tested a week earlier, but the tests were completed in the middle of the day. According to CBS Dallas, officials at DeSoto and Lancaster who had investigated the incident have confirmed that the two emergency alarm systems were hacked and started “intentionally” except for the possibility of a freak technical accident simultaneously in the two cities. “Due to the extensive impact on outdoor sirens in two separate cities including Lancaster, it has become apparent that a hostile person or people deliberately targeted our outdoor siren alert network,” Lancaster officials said in a statement. “Sabotage of a public alert system is more than just vandalism. It is a criminal act and the perpetrators have been arrested and prosecuted,” officials said. The following morning, the two hacked systems were taken offline and have since remained offline. Bad weather, including storms and potential tornados, was announced. The next night, 13 March, a severe thunderstorm struck the two cities. Thunderstorms are known to have produced short tornadoes, but luck had it that there was no tornado that day and hit the cities. The tornadoes are common in Texas because of the state of Tornado Alley and the tornado season has started officially from March to May, when most tornadoes occur. Nevertheless, on March 13, a tornado did not form and fortunately, the sirens were not needed. The powerful storm struck both towns hard, and the whole Dallas area, knocked down trees, destroyed homes, and left many neighborhoods without power. This is not the first time such events occurred in Dallas County. In April 2017, a hacker exploited a’ radio issue’ to release 156 tornado sirens for hours in the middle of the night through the city of Dallas. Dallas city officials responded by adding encryption to the sirens controlled by the radio signal to prevent any amateur radio fan from capturing the control signal. DeSoto and Lancaster tornado sirens are not part of the emergency Dallas tornado system. According to the map, therefore, they did not have the same protection. In April 2018, Bastille security researchers reported the vulnerability of SirenJack to a popular emergency alert system. SirenJack might enable hackers to hide sirens and trigger alarms. A new ransomware called JNEC.a is spreading through an exploit for the vulnerability in WinRAR’s recently reported ACE code execution. 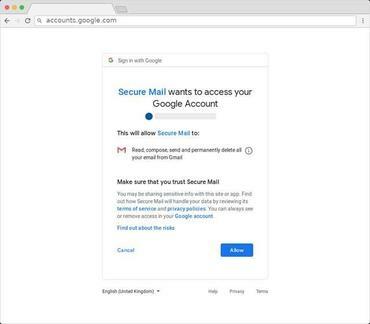 It will generate a Gmail address after encrypting a computer that victims need to create to receive the decryption key of the file once they pay the ransom. The ransomware encrypts data on the computer once it has been executed and adds the. Jnec extension to the original one of the file. The decryption key price is 0.05 bitcoins (approximately $200). The interesting part is that an unusual method was chosen by the malware author to deliver the decryption keys for the file. The unique ID number for each affected computer represents a key delivery Gmail address. Although the ransom note contains the address, it is not yet registered. This task falls into the victim’s hands if after paying the ransom they want to recover their files. Just to make sure victims understand how to get their data back, the malware writer also gives clear instructions for creating a specific Gmail address, which can be found in JNEC.README.TXT, and the ransomware drops on an infected computer. The Qihoo 360 Threat Intelligence Center researchers have detected a wild archive called “vk 4221345.rar” providing JNEC.a when its contents are extracted with a vulnerable WinRAR version, which is all released over the past 19 years. JNEC.a is written in. NET, and the contents of the rigged archive are extracted. There is a corrupt image of a girl inside that triggers and errors when decompressed and shows an incomplete image. The error and the fragment of the picture make everything look like a technical fault, so the user is not going to give it another thought. The ransomware is added to the system, however. The exploit of WinRAR allows the author to drop the malware in the Windows Startup folder, so it will deploy on the next login. The author named it “GoogleUpdate.exe” to hide its presence, so it is easily mistaken for the process of updating Google. It is not difficult to exploit the vulnerability of WinRAR. After Check Point published its flaw analysis, the proof-of-concept code was published online. Shortly afterwards, a script appeared on GitHub that automated the creation of a malicious archive using arbitrary payloads. 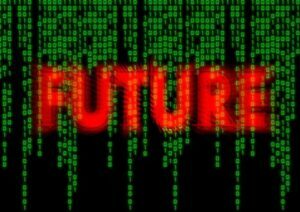 Last week McAfee reported that more than 100 unique exploits were identified in the week following the vulnerability disclosure and the number continued to grow. 34 antivirus engines detect JNEC.a as a threat at the moment of writing. The ransomware encrypts all of the files, which might be why we watched them move slowly during our tests. The Bitcoin Wallet Ransom shows 12 transactions, but it does not seem that any of them belongs to the victim because October 2018 was the most recent incoming payment. The balance is 0.05738157 BTC at the moment of writing, which converts to $229. Hacker used DDoS companies with a Mirai botnet and asked for money to stop attacks. His actions have not been detained in a Holland hacker who has launched DDoS attacks on high-profile websites like the BBC and Yahoo News and also tried to extortion many other businesses. A 20-year old man, speaking at a court in The Hague, the Netherlands earlier this month, displayed court remorse, accepted his crimes, and apologized for his actions, which he did as a minor. The hacker received 120 hours of support from the community and 377 days ‘ detention. He did not receive any time imprisonment because he was considered time spent in prison and was released on conditional release for 360 days in accordance with other laws. The hacker managed a botnet of DDoS he built using Mirai IoT malware according to heavily written court documents obtained by ZDNet. The estimates ranged from 2,697 (court documents) to 10,000 (social media) bots in botnets. The hacker was only identified as S by court documents. And did not disclose any of his targets ‘ names. According to a journalist from the Haagsche Courant at the court hearing on 21 February, however, some of S’s websites included the BBC, Yahoo News, e-commerce giant Zalando as well as several Bitcoins and gambling sites. In some cases, authorities say, S. Companies also contacted requesting Bitcoin ransoms to stop attacks. One example is Moneypot cryptocurrency exchange, which published one of S’s ransom notes at that time. These attacks began in October 2016 and stopped a year later during the arrest of the suspect by investigators in October 2017. Evidence from the confiscated facilities included Skype logs detailing discussions with two co-conspirators, one named Chris and another Croatian suspect. Speech included words like “the’re[sic] understood and emailed” and “sent it” with a copy of the email address S. Had sent. Researchers claim that S. He made approximately $150,000 of his attacks and subsequent rescue claims in Bitcoin. Speaking in court at a hearing on 21 February, S. The judge told him that his DDoS spree had begun because his parents were unable to give him money because of their financial situation, and that the maker of the malware Mirai IoT made 100.000 dollars out of the same system. Shortly after his source code was released online, he began using the botnet. He also said that, even before conducting the DDoS attacks supported by Mirai, he first began hacking around 13-14. In addition to admitting and excusing him for his crimes, S. The judge informed the judge that he was involved in cryptocurrency mining and speculation now, and replied that his new occupation was dangerous and that he said “you will need money again soon.” Pay € 12,000 ($ 13,500) for some of the victims ‘ damages. One of the hackers listed in NewSky Security’s last year’s top IoT hackers and botnet operators. We chose not to include the nickname of the hacker since it was speculation that could not be verified independently. New Zealand security researcher details an attack for recovering BitLocker keys that has never been seen before. A security researcher has developed a new way to extract BitLocker encryption keys from the Trusted Platform Module (TPM) of a computer that requires only a $27 FPGA board and some open source code. To be clear, this new BitLocker attack requires physical access to a device and will lead to destruction of the device as the attacker needs hard-wire equipment into the motherboard of the computer. Nevertheless, this attack produces the desired results and should be considered a threat vector for device owners who store valuable information, such as classified materials, proprietary business papers, cryptocurrency wallet keys or other equally sensitive data. The attack was first reported today by Pulse Securité security researcher Denis Andzakovic. Its method differs from previous BitLocker attacks because it requires the hard cording of a computer’s TPM chip and the sniffing of Low Pin Count (LPC) bus communications. TPMs are microcontrollers, usually used on highly valued computers, such as corporate or government networks, and data centers and, at times, personal computers. TPMs are also known as chips. There are different roles for TPMs, and one is to support the full volume disk encryption function of Microsoft’s BitLocker, which was added back to Windows Vista. In his research, Andzakovic has detailed a new attack routine extracted from the LPC bus from both the TPM 1.2 and TPM 2.0 chips by BitLocker encryption keys. He has tested his research on an HP laptop with a TPM 1.2 chip (attack using an expensive logic analyser) and a Surface Pro 3 using a TPM 2.0 chip (attack with a cheap FPGA board and an open source code). BitLocker was running in its default configuration in both attacks. Andzakovic has once again shown why it is an extremely bad idea to use standard BitLocker deployments as well as why Microsoft is warning against them in the official BitLocker documentation. Both Microsoft and the researcher advise using the pre-boot authentication process by setting a TPM / BIOS password before the OS boots, a password to keep the BitLocker keys out of reach of the TPM and sniff with this new attack. 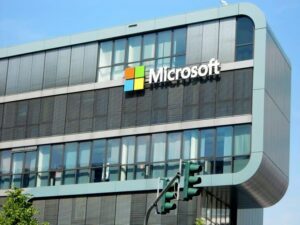 The finding of Andzakovic joins the ranks of other BitLocker attacks involving direct memory access (DMA) methods, brute force attacks, but also vulnerabilities in SSD self-encryption and the Windows Update process. A ransomware attack hit Jackson County, Georgia computers, and cutting public activity down into a crawl until officials decided to pay cyber criminals $400,000 in exchange for the decryption file key. In all County departments, including those for email and emergency services, the attack affected computer systems. Radio communication and phones remained fully functional, however, so people were still able to call 911. Yesterday, Jackson County Manager Kevin Poe told Online Athens that the network serving medical emergencies received a minimal blow as it was on a third-party provider. Back to offices in the Paper Age County were forced to go back to paper to do their job, which drastically slowed down operations. For StateScoop, Jackson County Sheriff Janis Mangum said that when there were no computers, arresting bookings and reports would be done the old-fashioned way. As is typical of ransomware, the demand for payment was in bitcoins to reduce the chances of tracking it against the perpetrators. Giving in to the request of the crooks happened because there was no backup system in place for the county, one that is separate from the network for daily operations of county government. If no backup is available, the victim will have to decide whether to pay or take a huge operational hit and be offline for a long time, spend money on rebuilding the network and hopefully adopt a strict data backup policy. 216.6 BTC was sent to the addresses we seen in samples. 190 BTC was sent to the addresses we seen in notes only. While proper data backup and maintenance is now the norm as protection against both system failures and ransomware infections, this measure is rarely seen in smaller communities like Jackson County. The FBI is currently investigating the attack and Poe said the cyber criminals used a fairly new strain of ransomware called “Ryunk” and operated by a group in Eastern Europe. 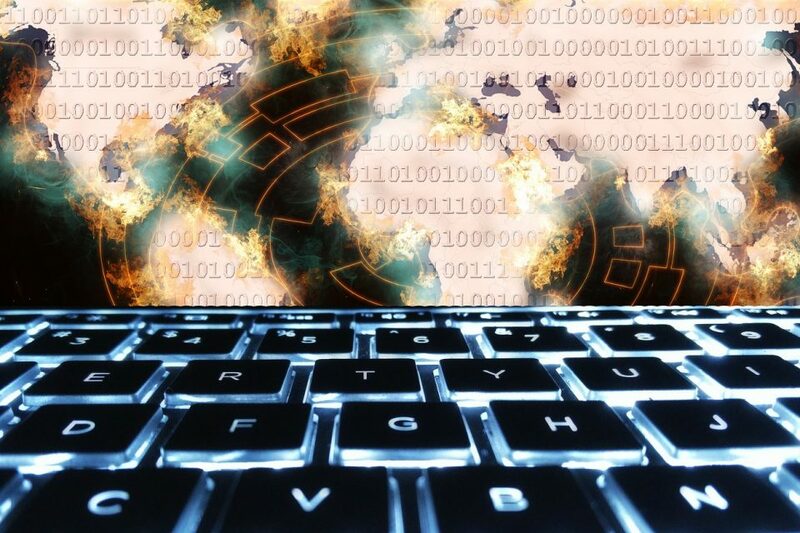 The malware is probably Ryuk, associated with a group suspected of being based in Eastern Europe, which borrows code from another piece of ransomware known as Hermes and attributed to the Lazarus group of North Korean hackers. However, Hermes was available to buy from the online underground community so it could have been bought by those behind Ryuk and took a few lines of code to make their own malware. The security researcher MalwareHunterTeam first discovered Ryuk in August 2018. The researcher monitored the cybercriminals ‘ cryptocurrency wallets and found that in about four months of criminal activity they received more than 400 bitcoins. That’s hundreds of thousands of dollars in the United States. Jackson County paid the criminals on Friday through a negotiating cyber security consultant with hackers. They received the correct key for decryption and began decrypting the information on the computers affected. Typically, Ryuk is used in targeted phishing attacks, probably the method used in the Jackson County case. Among the latest victims of the malware are major U.S. newspapers from Tribune Publishing and Los Angeles Times, whose printing and delivery was severely affected by the December 2018 attack. The attack-affected publications include the Wall Street Journal, New York Times, Los Angeles Times, Chicago Tribune, Baltimore Sun, Lake County News-Sun, Post-Tribune, Hartford Courant, Capital Gazette, and Carroll County Times, among others. Aftermarket car alarms developed by Pandora and Viper have been found to be vulnerable to remote exploitation, allowing potential attackers to hijack and spy on their owners ‘ vehicles. In the smartphone apps used to control the alarm systems developed by Pandora and Viper (known as Clifford in the UK), two of the world’s most popular smart car alarms, the exploitable software flaws have been found. The researchers from Pen Test Partners who uncovered these flaws say that’ the vulnerabilities are relatively straightforward insecure direct object references (IDORs) in the API,’ and’ only by tampering with parameters can you update the email address registered in the account without authentication, send a reset password to the modified address (i.e. To make matters worse, enormous amounts of personal identifiable information were exposed to the flaws observed in the car alarm APIs. In addition, “It should also be noted that you do not need to buy either of these products to have an account on the system. 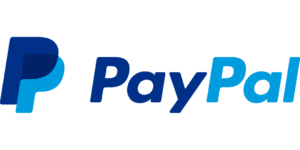 Both products allow anyone to create a test / demo account. With that demo account, you can access any genuine account and retrieve its details,” the researchers said. While Pen Test Partners gave the two companies behind the vulnerable smart car alarm systems only seven days to fix security issues due to the high likelihood that criminals were already aware of them and might exploit them in the wild, both Pandora and Viper responded and patched them very quickly, much faster than the researchers expected. This is not the first time and it will be willful. For example, Tesla’s electric cars were found to be vulnerable in 2016, with car thieves being able to hack and steal a Tesla by infecting the owner’s Android smartphone with a strain of malware and using it to control the Tesla Android App and then their car. A Dutch cyber-security firm discovered during April 2018 that several in-vehicle infotainment (IVI) systems used by some Volkswagen Group cars were exposed to remote hacking. BMW announced in May that researchers from the Tencent Keen Security Lab have started working on a number of firmware updates designed to patch 14 security issues found in cars from BMW I Series, BMW X Series, BMW 3 Series, BMW 5 Series, and BMW 7 Series. In Tesla Model X cars, the same researchers were also able to identify several vulnerabilities that would have enabled attackers to control vehicles remotely, forcing the car to brake while in motion or controlling its lights, in-vehicle displays, and when stationary, open its doors and trunk. An electronics designer discovered a security flaw in several Subaru models ‘ key fob system during October 2017, an issue that could likely be abused to hijack customer cars and that the automaker refused to patch when contacted. Two buffer overflows in the TCU (telematics control unit) components (2 G modems)–CVE-2017-9647 and CVE-2017-9633–affected BMW, Nissan, Ford and Infiniti during the summer of 2017, the TCUs using S-Gold 2 (PMB 8876) cellular baseband chipsets. Mazda cars were also found vulnerable, with the Mazda MZD Connect infotainment system being easily hackable by plugging into the dashboard of the car in a USB flash drive. Mazda car owners successfully used this “feature” to alter the infotainment systems of their vehicles-installing new apps and adjusting settings. To put it all into perspective, as detailed in a study conducted by Ponemon Institute-when it comes to testing vulnerabilities of software-about 63 percent of all automotive companies will test less than half of the software, hardware and other technologies they develop. The government of Cairo targeted the staff of local human rights defenders, media and civil society organizations. Amnesty International members say that Egyptian authorities are behind a recent wave of spear-phishing attacks targeting the staff of prominent local human rights defenders, media and civil society organizations. The attacks used a relatively new technique of spear-phishing called “OAuth phishing,” said experts from Amnesty. Phishing OAuth is when attackers aim to steal the OAuth token of a user account instead of the password of the account. When a user grants the right to access their account to a third-party app, instead of the user’s password, the app receives an OAuth token. These tokens are used as authorization until the user cancels their access. Amnesty investigators said authorities created third-party Gmail apps through which they gained access to victim accounts in the recent spear-phishing campaign that targeted Egyptian activists. 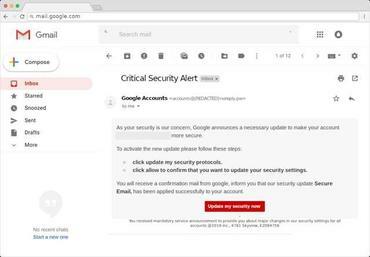 Victims would receive an email that looked like a legitimate security warning from Gmail… If you clicked the link, you would be redirected to a website where a third party app would request access to your Account. 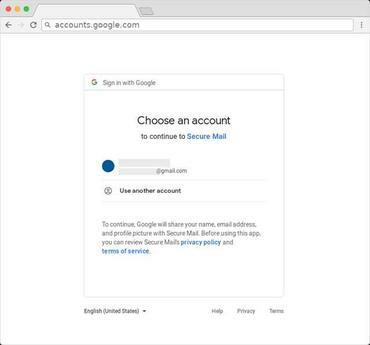 Once the victim has accessed the app to your Gmail account, the user would be redirected to the legit security settings page where you would be left to edit your password. Even if the victim changes its password, phishers will still have access to the account on the newly purchased OAuth token at this point. This spear-phishing campaign was not limited to Gmail alone, and the attackers also targeted users of Yahoo, Outlook and Hotmail according to an Amnesty International report. Moreover, Amnesty experts said that the lists of targeted victims targeted by this recent OAuth phishing campaign “was significantly overlapping” with another spear-phishing operation in 2017, also linked to the Egyptian authorities. The campaign for spear-phishing is no surprise. The Egyptian government has cracked down on advocates of civil liberty, NGOs, and journalists over the past two years. Recently, Egyptian authorities passed a repressive NGO law, launched criminal investigations into foreign-funded NGOs, banned travel for at least 30 human rights NGO staff and managers, and frozen their assets for seven NGOs and ten people. For adware programs and tools, PirateMatryoshka is described as a “Russian doll.” The Pirate Bay (TPB) has become a hotspot for downloading a new Trojan loaded with hidden packages of spyware. The Pirate Bay (TPB) is a popular resource for finding.torrent files to increase the velocity of large size sharing content. The technology is not illegal in itself, but it is often the case that torrents download and share copyrighted material such as movies, television shows, and games. The requirements for pirated software are high, and torrent search websites often use unreputable advertising services to generate revenues that can cause malicious commercials to be displayed, as well as accidental downloads of adware and spyware. A particularly interesting form of malware sometimes appears on these websites, and a new Trojan downloader called PirateMatryoshka has been spotted on TPB in this case. 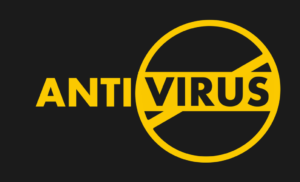 The malware acts as a downloader for a swathe of Potentially Unwanted Programs (PUP), spyware, and adware, all of which have the ability to slow down PCs, slurp memory resources, and spy on users. While malware on torrent websites is frequently distributed through malvertising or advertising. When a “leech” user downloads a file from these sources, there is no reason to believe the file is going to be malicious in any way. When a victim opens their downloaded file, PirateMatryoshka appears as an installer. A copy of the main page of TPB is shown to the victim, requiring the user to input their credentials in order to continue the installation. Kaspersky Labs believes this is how the malware continues to spread, because operators can create more seeds from legitimate, compromised accounts. The phishing link has been accessed approximately ten thousand times so far. However, if no user credentials are entered, the malware can still persist. If credentials fail to steal, PirateMatryoshka will unpack additional malicious modules including a clicker that can check the “agree” tab of the installation pop-up. The autoclickers also prevent program installs from being cancelled. The list is hidden in one case, that of a file partner program called MegaDowl, by a “Advanced Settings” button, which reveals the long list of spyware and adware that a user is about to download when clicked. In another case, the list of nuisance programs is hidden at the end of a licensing agreemeeme. Kaspersky says that approximately 70 percent of PirateMatryoshka installed programs are known adware variants, including pBot, and 10 percent are malware samples capable of deploying additional malicious code payloads on an affected system. “Multi-layered malware is a very common occurrence, and we found many cases of malicious installers installing more than one program on the device of a person,” says David Emm, Kaspersky Lab UK’s lead security researcher.